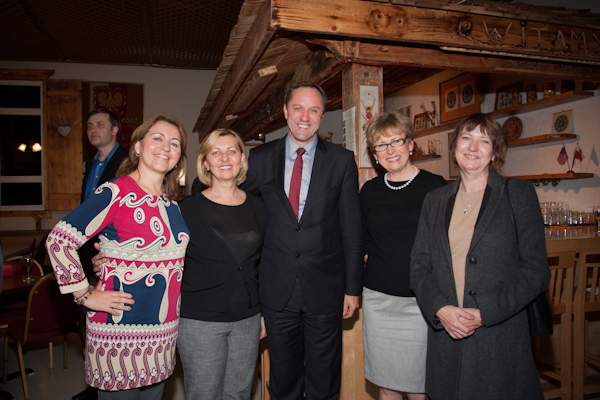 October 22 – A reception was held at Dom Polski Seattle to welcome representatives from high tech and investment organizations in Gdansk, Poland. 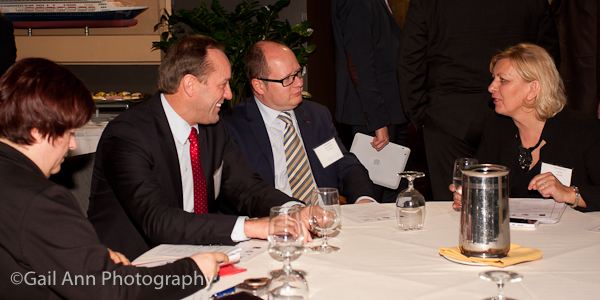 On hand were leaders from SGSCA, Polish Home, Polish American Chamber, and UW. Pictured below: The govenor of Pomerania Region, Mieczyslaw Struk and the Mayor of Gdansk, Pawel Adamowicz were honored guests. Pictured below are: From left: Danuta Moc (PACCPNW, Director), Teresa Idelak-Davis (PSCCPNW, President), Mieczyslaw Struk (Marszalek of Pomeranian Voivodeship), Krystyna Untersteiner (UWPSEC , Chair) and Katarzyna Dziwirek (UW Slavic Department, Professor and Chair). Click here to see images from Oct. 22 and download. October 23rd – Members of the Gdansk Trade Mission visited with businessmen and women in Silicon Valley, Chicago and Seattle. The Association of Washington Business, Polish American Chamber of Commerce, and the Trade Development Alliance of Greater Seattle welcomed them at a presentation and networking reception held at the World Trade Center Seattle on October 23rd. Click here to view all images from Oct. 23 and download. Teresa Indelak-Davis chats with President of Polish American Chamber of Commerce with Governor of Pomerania Region and Mayor of Gdansk.